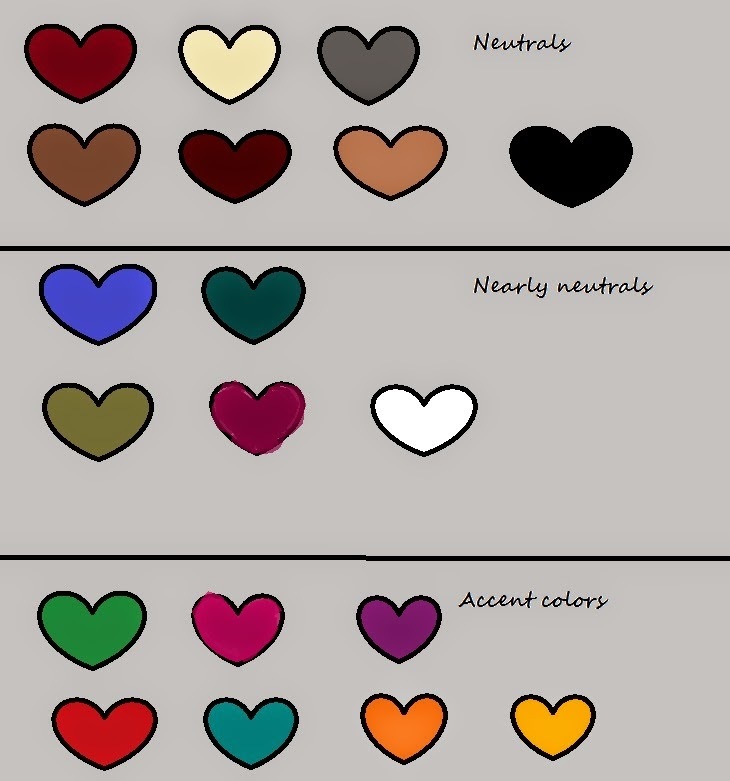 So, now we organise the color list we made. I accidentally wrote "accent colors" instead of "statement colors" but that´s ok I think. Here we are. It doesn´t suit me best but black makes a loooot of my closet. Neutrals and statement colors (aka accents) are fairly balanced, but I hardly have Nearly neutrals! So I misplaced some colors.... White is in real a neutral, but not too flattering and practical.